457 visa: are we factoring it all in? For those who’ve come across the seas... we’ve got no jobs to spare. Or so goes the message from the government. The Prime Minister announced in April that the 457 visa would be scrapped as of March 2018, which caused not only controversy and debate, but fear and bewilderment for skilled migrants who likely felt blindsided and uncertain about their future. Non-Indigenous Australia has been made up of immigrants since 1788. If you aren’t of Aboriginal descent, you are either a migrant or you have a migrant background – with the only real question being how many generations back your ancestors first arrived. It’s important to keep that in mind in this debate. Without broad and ongoing migration, Australia would look nothing like it does today. 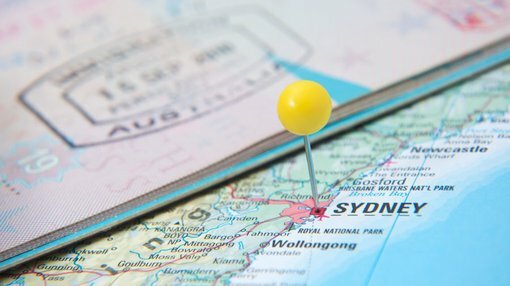 The scrapping of the 457 visas mean that if an applicant is still eligible under the newer, tighter visa rules, they will be limited to two years rather than four, and will no longer have a pathway to permanent residency. As a high-profile example, boss of the National Broadband Network Bill Morrow told 3AW he was ‘nervous’ regarding the changes – Morrow was not born in Australia – and is unsure whether he will be forced to leave the country before the NBN completion date in 2020. It’s not just those whose jobs or livelihoods will be affected, in fact the impact is and will continue to be felt greatly by businesses big and small. One of Australia’s top medical research heads, Tony Cunningham told SBS that six institutes have had job offers rejected by top scientists from across the globe in the wake of the 457 visa changes. The 457 visa has been the most popular route for employers looking to bring skilled workers from overseas on a temporary basis. It was originally introduced by the Liberal Party under Howard’s leadership in 1996, with the intention to attract more skilled migration as opposed to family reunion migration. The number of 457’s issued had no limit, and reached a peak at 126,000 in 2012-13. By last year, it had dropped to 96,000. The 457 visa is responsible for some great strides across a multitude of industries in Australia. Consider that not only the head of NBN, but the head of Graincorp, David Jones, Orica and the new Australian Energy Market Operator are all foreign nationals currently on the 457 visa. Beyond that, there’s the benefits to the skilled migrants themselves, who often bring a strong work ethic spurned by a sense of enthusiasm to be living and working in Australia. The list of benefits still cannot be capped at either the employer or the employee. There’s an impact in this equation for people who may never have heard of a 457 visa – the customer. Consider Lygon Street – the quintessential destination for eating out in Melbourne à la Italian – with restaurants relying on a steady stream of 457 applicants to deliver an authentic cultural ambience. The news has not escaped their attention with Tony Cannata, owner of Woodstock Pizza and employer of a dozen young Italians on 457 visas, claiming that the Italian nationals at his restaurants are selling the culture as much as the food. The cultural diversity of foreign employees can bring value to a company’s own culture, and to its brand. This need will only become more important as the effects of globalisation and immigration create increasingly global customer bases. Non-Australian clients are best accessed, serviced and retained with the knowledge and expertise of those who best understand their desires and psychology – their own kinfolk. Which is why truly multicultural companies, whose diversity of customers is reflected in its diverse workforce or management, tend to do well on a global stage when compared to businesses who confine their talent pool to a local monoculture. Australia has significant export markets across the world. Beyond the obvious major exports such as coal, minerals, gas and food, we also export clothing (Cotton On Group), mattresses (A.H. Beard), health supplements (Blackmores), stationery supplies (Typo and Kikki.k) just to name a few. Travel-related services – which require cultural literacy and relationship-building of the highest order – is in our top 10. And then there’s the juggernaut of financial services – Australia’s biggest industry, and an export goldmine. The volume of financial services exports more than doubled between 2010 and 2015 from $20.3Bn to $43.6Bn. As at 2015, Asian customers accounted for 65% of these exports including Japan and Korea. New Zealand also represented a significant percentage. The ability to connect culturally to the customer is never more important than when you’re trusting a group with your hard-earned money. These really only scrape the surface. The point is that a diverse skilled workforce is an asset to any business. And considering how many jobs are currently held by skilled migrants, it seems to some that the change is more about political point-scoring than a measure to address unemployment. No doubt there are genuine reasons for concern when it comes to Australia’s job outlook in the medium and long term. And with that at the forefront of people’s minds, the government has found some support for 457 visa changes. But a significant cohort of the Australian population have questioned the move – both its motives and its potential impacts. The last thing Australia needs now are greater restrictions being placed on the capacity for our businesses to source the best talent and compete on a global scale. Business management consultants McKinsey & Company put together a report called Diversity Matters in 2015 which examined proprietary data sets for 366 public companies across multiple industries in Canada, Latin America, the UK and the US. The result was some strong findings, including facts like companies in the top quartile for racial and ethnic diversity were 35% more likely to have financial returns above industry medians; and, in the US, for every 10% increase in racial and ethnic diversity in the senior-executive team, earnings before interest and tax rise 0.8%. There’s more at stake than simply a few extra plane tickets out of the country – and from the public’s reaction, it seems that – at the very least – the topic requires more discussion and debate that encompasses all potential outcomes.